J.C. is using Smore newsletters to spread the word online. Du Fu was born in 712 Gongxian, China. He was the master of lüshi. Lüshi is also known as regulated verse genre. He traveled the country often without any money. Believe it or not he wasn’t famous while he was alive. His writing became famous when he died. He was smart but one thing held him back. He failed his imperial examinations twice. 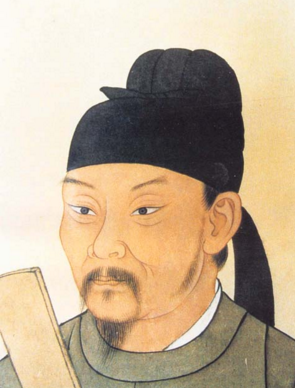 Overall, Du Fu made rumbles of greatness in writing. Go to 4 min. 53 sec. The Han dynasty was a very long lasting dynasty. It lasted for over four centuries. It started in 206 B.C.E. and ended in 220 C.E. It created the salt monopoly that lasted until 2014. That is almost to today. It also expanded China to the Yellow River. It created a more thorough form of taxation. It helped make tax paying more easy for the government. 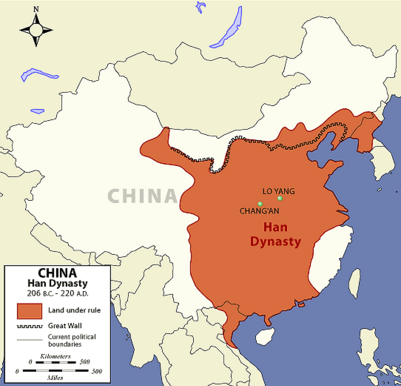 Overall, the Han Dynasty was very important. The Yungang Grottoes are a very beautiful sight to see. It has 252 caves. It also has 51,000 buddhist statues. Every one of those statues were man-made. It was carved out of the sandstone cliffs on Wuzhou Mountain in 453 AD during the Wei Dynasty. The main construction lasted about forty years. That is a short amount of time for that large of a structure. 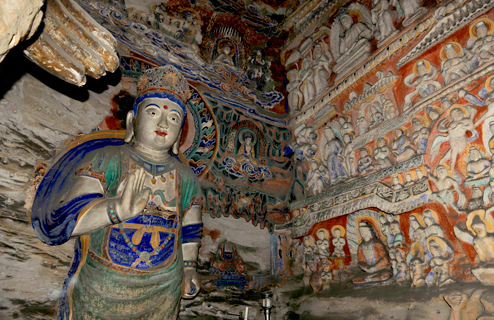 Overall, the Yungang Grottoes is one of the many places you need to visit in China. 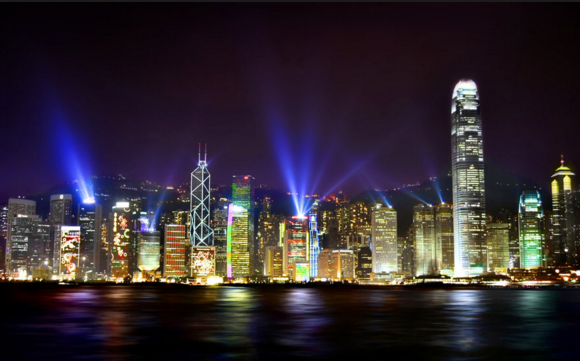 Victoria Harbor is a beautiful sight to see at night. It is in Hong Kong. It has the tallest skyline in the world. You can take cruises to look at the harbor. The boat you ride is called the Star Ferry. It gives you stunning views of the city. One of the beautiful views is the city at night. Overall, you should visit Victoria Harbor in China. The Yellow Mountains are great to hike. One of the mountain on it is Mt. Huangshang. It has great hot springs. Hot springs are like water that comes out of the ground. It has peculiar pines. That means the pines are cool shaped and looking. It s suggested to visit over a time period if two days. 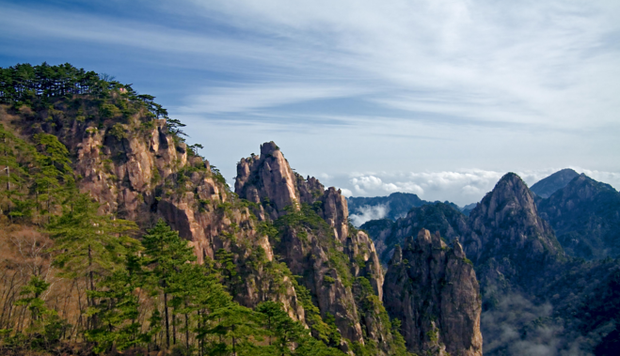 Overall, on your journey in China you need to visit the Yellow Mountains. The Li River is a fascinating place to visit. When you go there you can see Elephant Trunk Hill. It looks like an elephant drinking out of the water. You may also see Reed Flute Cave. It is a beautiful limestone cave. You can also do cruises for cheap on bamboo rafts. If you want a huge experience and don’t care about money you can cruise on an air conditioned ship. Overall, you can’t help but visit The Li River. "Li River Cruise Guilin to Yangshuo Tours, Guangxi Travel Guide." Li River Cruise Guilin to Yangshuo Tours, Guangxi Travel Guide. N.p., n.d. Web. 22 Mar. 2016. "Wikimedia Upload." Wikimedia Upload. N.p., n.d. Web. 22 Mar. 2016. "Undiscovered." DeviantArt. N.p., n.d. Web. 22 Mar. 2016. Http://shanxi.chinadaily.com.cn/. N.p., n.d. Web. 22 Mar. 2016. "Minneapolis Institute of Art." Minneapolis Institute of Art Front Page Comments. N.p., n.d. Web. 22 Mar. 2016. Wikimedia Upload." Wikimedia Upload. N.p., n.d. Web. 22 Mar. 2016. "China Highlights, Discovery Your Way!" China Travel Agency, Tour with China Highlights. N.p., n.d. Web. 22 Mar. 2016.